Traction » Blog Archive » Drain. Filter. Rinse. Bank your Savings. Repeat if desired. Drain. Filter. Rinse. Bank your Savings. Repeat if desired. Earth Month starts tomorrow, and there’s been a lot of talk recently about the new eco-friendly cars — biodiesels, plug-in hybrids, hydrogen-powered Wienermobiles, you name it. And sure, those are all great things. But who can afford one these days? Not us, anyway. 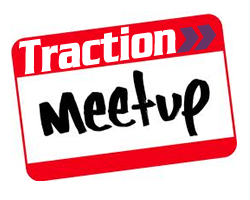 Instead, Traction is proud to bring back, by popular demand, a fun-filled afternoon of ways to make your existing car gentler on both our world and your wallet. You can just come to watch and listen, or dive in and get your hands dirty. Or not. We have gloves. James Beidler and I will be the hosts, but y’all will be the stars. And if your car is due for an oil change anyway, why not do it yourself? Let us know ahead of time and we’ll arrange to help you change it at the workshop. We’ll provide ramps, tools, and new oil and filters, and we’ll help you every step of the way. If you’ve been itching to get a deeper understanding of the expensive, mysterious contraption that rules your life (not your iBerry; that’s another day); if you want to reduce your environmental impact without springing for a custom plug-in Prius; or if you’re just looking to save a buck or two, then come on down to Traction HQ and join us during Earth Month. * If you want help working on your own car at the event, let us know ASAP. We need to make sure we have enough equipment for all and SPACES ARE LIMITED. * If you’re not sure whether you’ll make it, RSVP as a maybe. * If you have a specific thing you want help with, but you’re not ready to tackle it just yet, please include that info in your RSVP so we can be sure to address it. * If you came last year and want a refresher, we’d love to have you back. and Spring means the Traction Outdoors group is back! Write outdoors@getTraction.org to be in the loop on hikes, swims, berry-pickings and more.